Every natural has a spray bottle containing some DIY moisturizing concoction perched somewhere in their room. Usually equal parts water, leave in, and oils, having a simple moisturizing spritz for your hair is just something you must do. Because of its moisturizing and healing properties, aloe vera juice or gel is often a frequent ingredient in DIY moisturizing sprays. Many naturals swear by aloe vera juice, but I never felt that it was benefiting my hair when I used it in my spray bottle mixtures. Because of the magical wonderland that is Pinterest, I stumbled across Rosewater which has been a great addition to my moisturizing spritz. Rosewater is an easily accessible super ingredient with many beneficial properties for hair and skin. I originally went on the search for a bottle of it because I read that it worked well as a light fragrance and morning refresher for the skin. 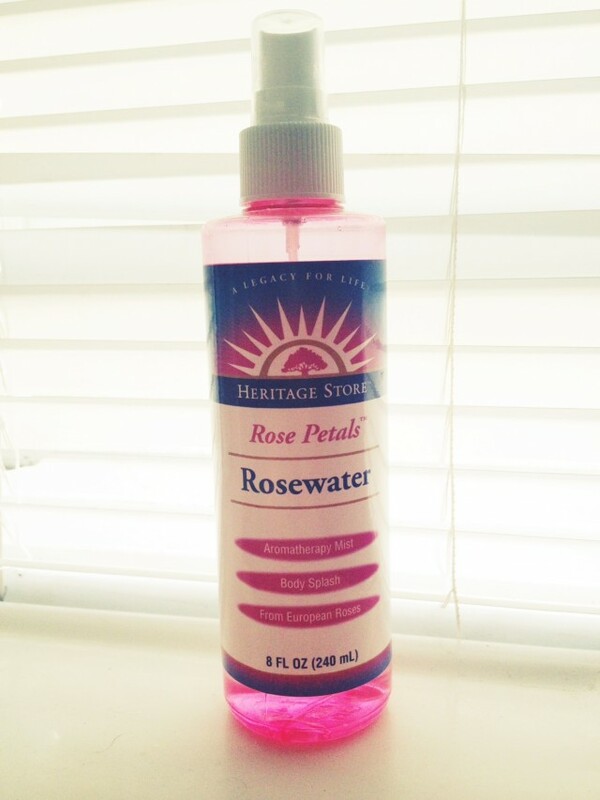 I found an 8oz bottle of Heritage Store brand Rosewater at Vitamin Shoppe for $6. I started off spraying a little on my face in the morning or throughout the day, but after more research I found that Rosewater could work even better for my hair. Not only is Rosewater moisturizing, but it is also conditioning, antimicrobial, and stimulates blood circulation. After getting my hair braided, I mixed rosewater and castor oil in a spray bottle as a moisturizer and it worked amazingly for preventing my hair from feeling dry and brittle. I always go a little longer between washes while I have my hair braided, and the rosewater mixture was great at refreshing my hair and adding a light fragrance. Its antiseptic properties helped kill some of the germs and reduce product build-up that I had. 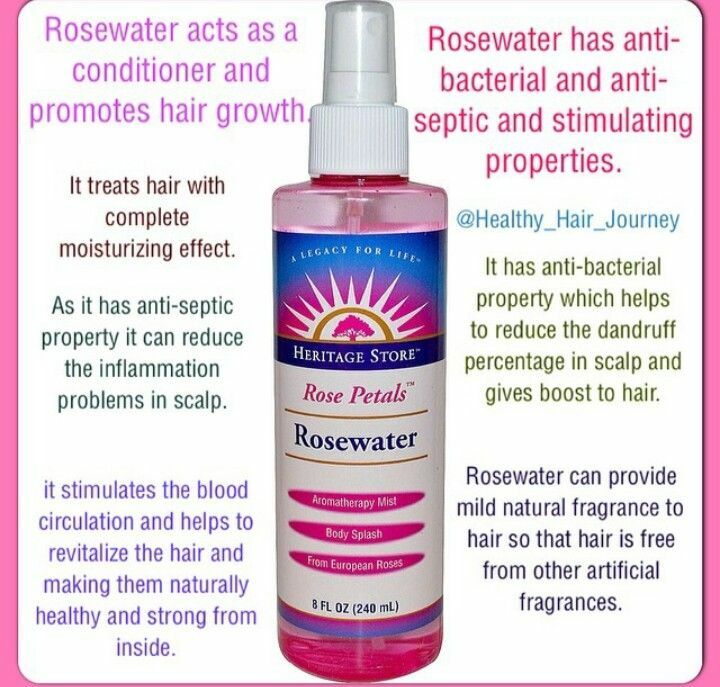 Rosewater can also help reduce dandruff and stimulate hair growth by promoting blood circulation. Its like super water for your hair! There are various brands of rosewater that can be found online and in most health food stores. I encourage you to give it a try in one of its many uses and share your results with us. Below is the recipe for my Rosewater Moisturizing Spray. It’s great for braids and protective styles, as well as general everyday use. The recipe you used… do we have to user that or can we just put the rose water directly on our curls?